What is a Schticky? It is a washable lint roller–it picks up lint and a whole lot more. For example, got a problem with shedding pet hair? Roll the Schticky over the hair and the hair sticks to the Schticky. For quick cleaning of the roller, all you have to do is rinse under the faucet. 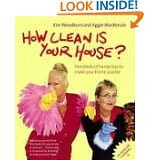 Works on fabrics from wool to velvet: It does work on all fabrics in picking up debris. It works on cloth, but it also works on a granite counter top to pick up crumbs. Pick up hair: Yes it does work to pick up hair. Especially if you leave hair in your bathroom after a blow dry. The lint roller doesn’t clean hair in a flash, but it is quick. You may have to help the hair off with your hands occasionally. It picks up pet hair quick and cleans it quick too. Additional uses: I’m always finding other uses for the ‘lint roller.’ First, I can clean crumbs up from my desk. I also can clean up my car seat if I absolutely have to eat on the go. I’m sure there are a hundred other ways to use the roller. Ordering process: We ordered the product online — without any issues. The bonus big Shticky is not 100% free as you have to pay a separate processing change. Fine. About a week after we ordered, I got a call that the product has shipped and I was eligible for a gas card. I did not get the gas card as it required membership in a program. This is a great tool for neat freaks — or people who want to stay clean. 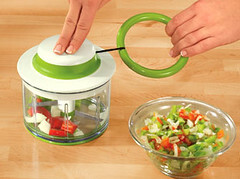 However, this is not a new idea, the Veggie Chop™, reg.$41.99 clearance priced*$29.99. 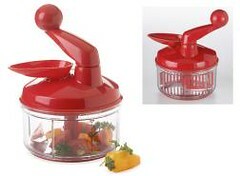 Plus the scaled down version, the Instant Chopper, reg. $14.99 clearance priced *$9.99. Now one can say that Tuppeware’s ® Quick Chef, reg.$52.50 with it’s feed tube is a better mousetrap, but if price is the driving force, then perhaps you should consider these alternatives offered by *The Home Marketplace. 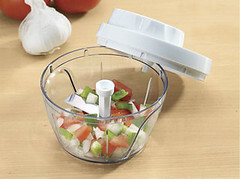 Unless, we all lose electrical energy, personally MarkdownMom would rather stay with her Cuisinart food processor because of its’ expanded applications; but, then again, both the Tupperware’s Quick Chef and the Veggie Chop and Instant Chopper are greener since they are manual applications. Don’t Rely Only On Endorsements, Compare & Choose To Find The Bargain! 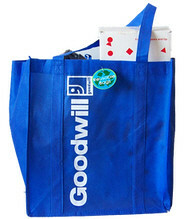 Goodwill has a new online site, Goodwill® Too. No, this isn’t an auction site, this site is selling overstocks and donations that they have received. Although we are talking limited quantities, nonetheless, the prices are terrific with up to 75% off retail. Eclectic assortment of brand new and gently used items include collectibles,earth friendly green products, electronics, decorating, jewelry, pets–you name it. If you live in Florida, you may be able to take advantage of the “free pick-up” option, flat fee shipping of $8.99 up to 150 lbs. in U.S., and Goodwill Too even ships internationally. And remember, your order helps support Goodwill in helping people achieve their full potential through the dignity and power of work! Wednesday Steal: You Light Up My Life With Savings! Everyone wants to go green because it is not only healthy, but economical, right? However, changing light bulbs for the greener, more efficient, longer life ones can be an extra out-of-pocket expense initially. Well, cut your costs and save, save, save by going to Gaim®’s clearance. Get this Natural Spectrum® 40 watt Globe, reg. $10.00, on sale $3.99. 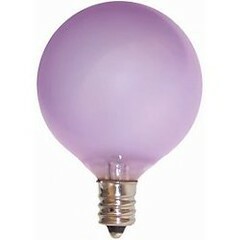 Purple color filters out the yellow hue of the light providing natural white daylight and is good for 5,000 hours or 5X regular light bulbs. Made in France. Other light bulbs on sale including 20,000 hours incandescent and daylight, and flood reflectors. Plus sign up for their $500 Shopping Spree! Another Bright Idea From MarkdownMom! It’s nice to get flowers on Valentine’s Day, but how about having flowers all year? With AeroGarden you can have a continuous living bouquet. 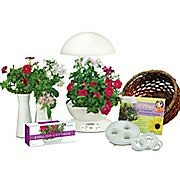 And you can change the flowers into a mini herb garden, tomato garden, salad, or pepper garden in the summer. On sale at JCPenney®, reg. $149.99 now $79.99. Give A Gift That Keeps On Giving!!! What's Old Is New Again #2! A bygone frontier era included a self-sufficiency seldom experienced in our present mechanized society. However, either because of a desire to become green or a desire to create our own homemade gourmet products, a demand for the manual machines of yesteryear has increased. Markdown Mom has been watching auction sites, thrift stores, and antique stores and one item that goes for a hefty price , no matter the condition, is a hand butter churner. Now, the butter churner has been reproduced at QVC. 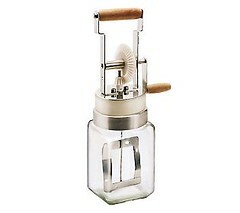 The Paderno World Cuisine Butter Maker has the same mechanism updated and made out of metal rather than wood. Simple to use, just add cream and you can have your own delicious butter. With additional ingredients such as herbs, you can give your guests and family a gourmet treat–a potential addition to homemade gifts. QVC offers this at $109.97+sh. Made in Italy. 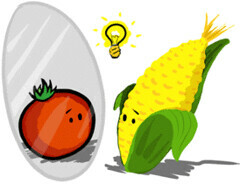 Know A Red, Hot Tomato? Home and community gardens are becoming popular in these economic times. Growing your own not only can help those high grocery bills, but are a healthy and safe source of veggies, herbs, fruit and more. But getting too much of a good thing can present a problem; afterall, you don’t want those excess quantities of tomatoes or zucchinis to go to waste. Well you can and freeze some of the bounty, but have you ever considered a swap meet for garden produce? Veggie Trader is the place to buy, trade, or sell homegrown produce. Acting like a Veggie Craigslist, you can place an ad online, find local sources for items you want to buy, and information on nearby farmer’s markets. Join in the fun. It’s Free, but watch out for those fly-by fruities!